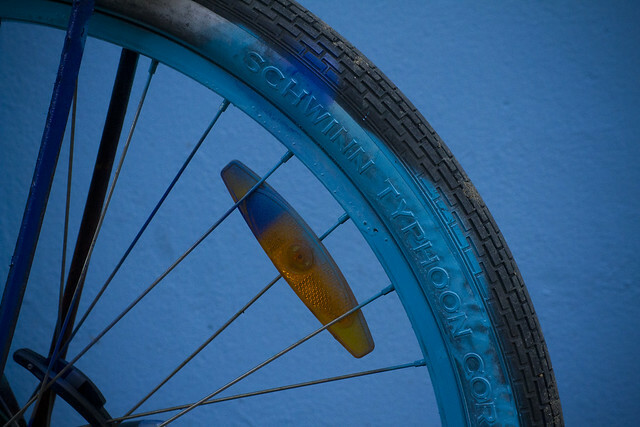 A good friend of ours, Sille, is in the process of personalising her bicycle. 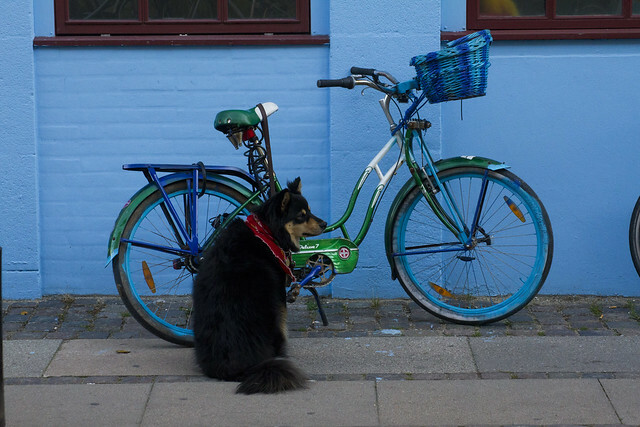 Her building has just been given a fresh coat of blue paint and she decided that her (crappy/rusty - in her own words) bicycle was clashing with the blueishness. So, enter a can or two of spray paint that matches the colour of the facade and off she went. It's a work in progress. And it covers up the rust, too. If she paints it well enough it just may become camouflaged when leaning up against the building. A kind of water-based invisibility cloak to prevent theft. What a brilliant idea. Sure beats this bicycle protection solution. I suggested she spraypaint Willow, the dog at top, and get him to act as a bicycle guard dog but strangely she wasn't keen on the idea. How about this ultimate bicycle protection solution?